Dry eye disease won’t have a permanent effect on your vision, but there is no reason to endure dry, itchy and uncomfortable eyes, especially since there are so many treatment options to increase moisture and comfort. It’s also important to realize that this is a chronic disease that needs consistent treatment. 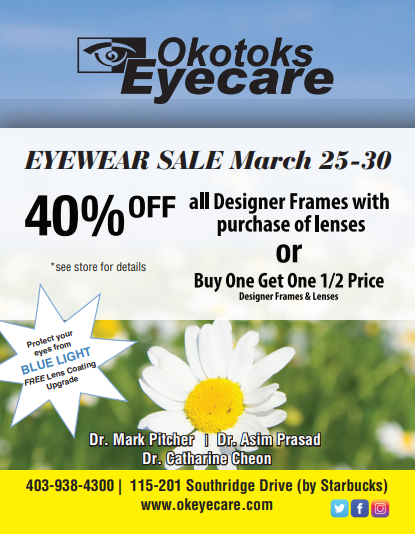 Your Okotoks eye doctor will work with you to create a long term strategy to keep your eyes as comfortable as possible. We are proud to use the latest optometry technologies during your dry eye consultation at Okotoks Eyecare!